Welcome to the unspoiled part of Bali. Villa Pandu is one of the most luxury north Bali villas for rent on the beach in North Bali, an ideal place for a wonderful unforgettable holiday in the tropics. The unique Balinese atmosphere is paired with modern comfort. With the inviting pool, tropical gardens and an endless view over the Bali Sea Villa Pandu is the perfect place for a relaxing luxury holiday for up to 8 people. The villa is located directly on the beach in Brong Bong, a village near Seririt and Lovina, where you will find many restaurants and bars. 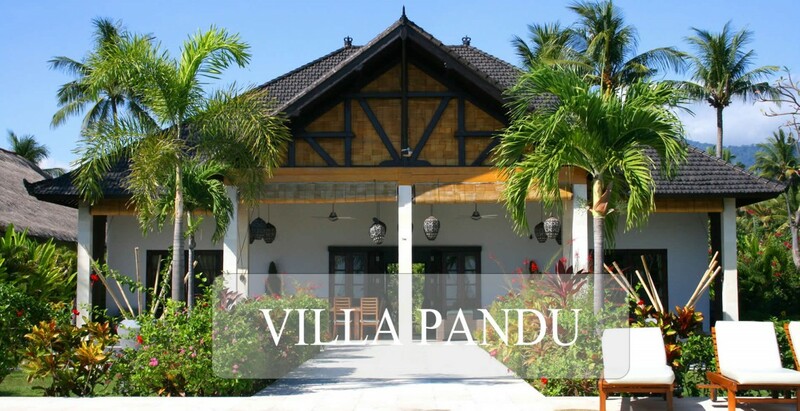 The friendly staff of Villa Pandu has been carefully selected and has been professionally trained. Our goal is to offer our guests a memorable stay by combining the luxury and comfort of the best hotels with the freedom and privacy of a private villa. For a fee the services of a masseur and driver are available. The driver provides the island trips on request, and transfers to and from the airport.